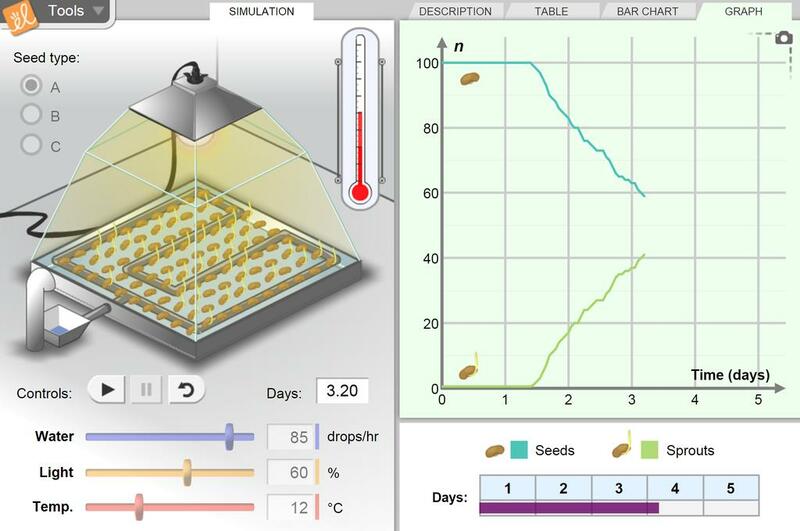 Perform experiments with several seed types to see what conditions yield the highest germination (sprouting) rate. Three different types of seeds can be studied, and the temperature, water and light in the germination chamber can be controlled. No two trials will have the same result so repeated trials are recommended. Green roofs are vegetative roofs designed to add aesthetics and insulation on a roof of a building. Ofte... (more)n when designing a green roof, the designer has to consider the type of plant, its ideal growing conditions, rate of growth and its appearance. This is a culminating activity that will be used by lab teams. This is a variation on the Seed Germination Student Exploration Guide.